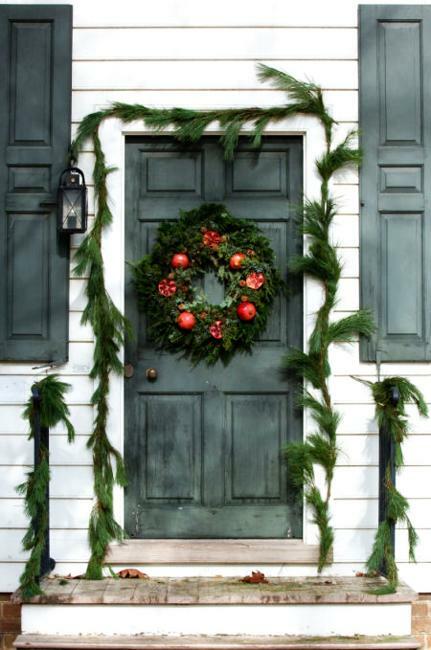 Beautiful Christmas wreaths and garlands are wonderful winter door decorations that nobody wants to remove after holidays. 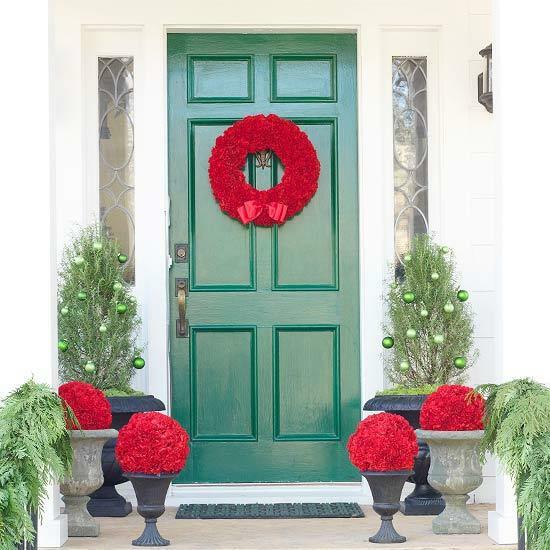 Christmas wreaths and evergreen garlands are gorgeous symbols of Christmas that each home should have as holiday door decorations. 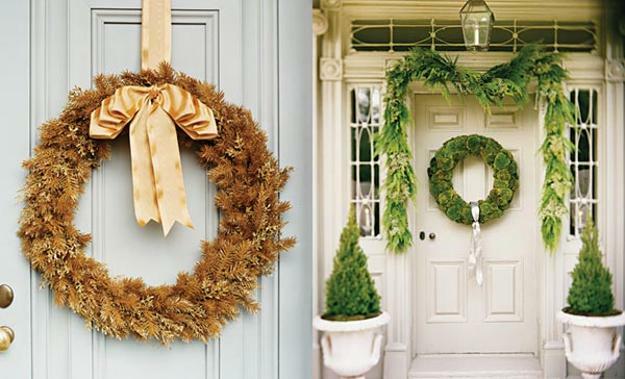 Lushome shares a collection of charming, bright and elegant Christmas wreaths and garlands. 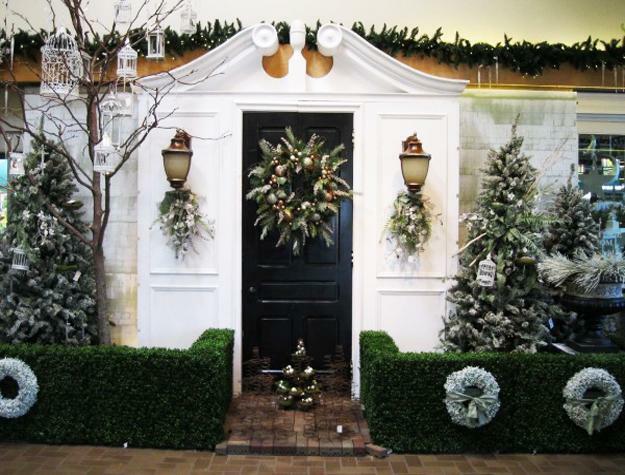 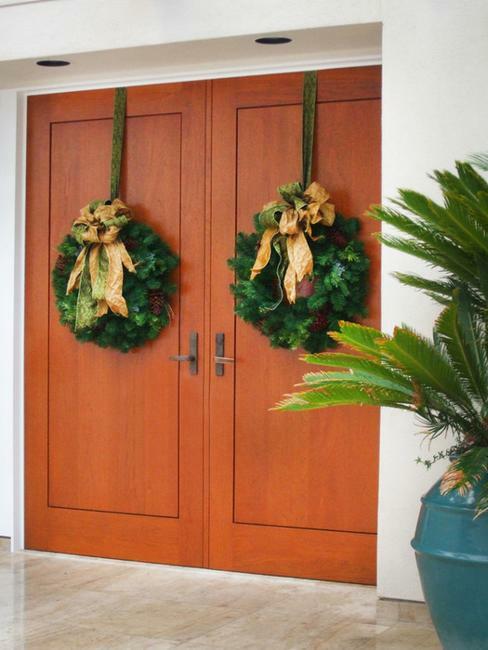 Evergreen garlands and Christmas wreaths are large and spectacular door decorations, perfect for winter months. 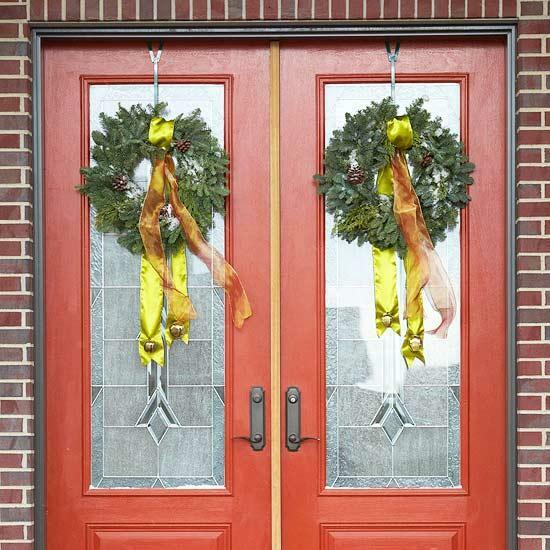 These door decorations allow to put colorful and meaningful accents and beautify house exterior and front door decoration to enhance the holiday spirit and color winter decorating. 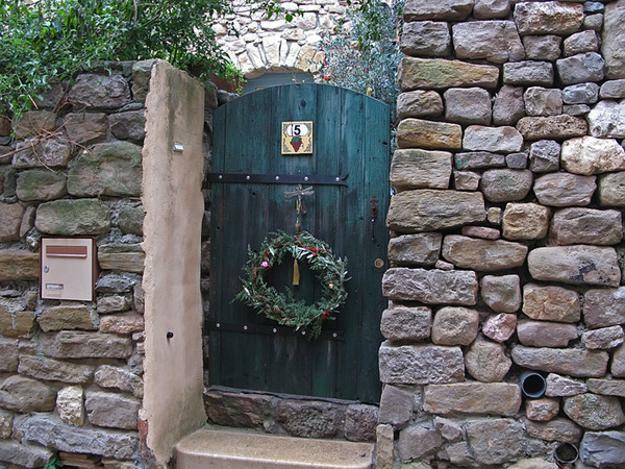 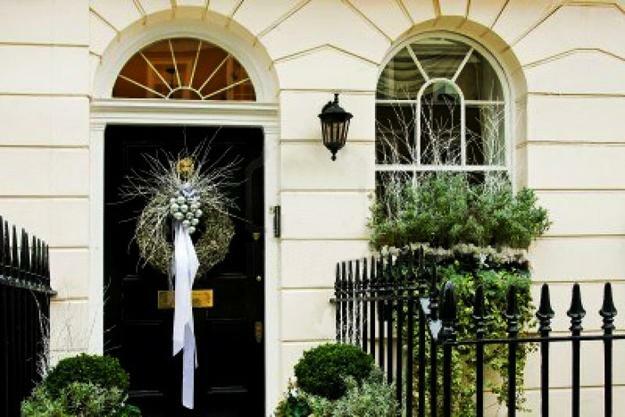 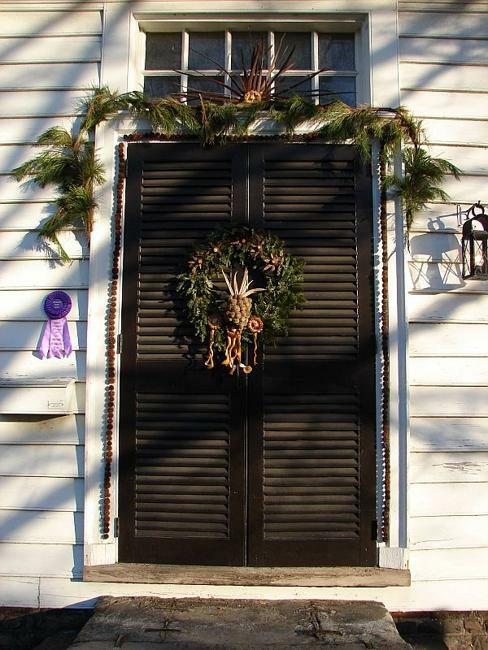 Christmas wreaths and garlands are versatile door decorations, perfect for every house. 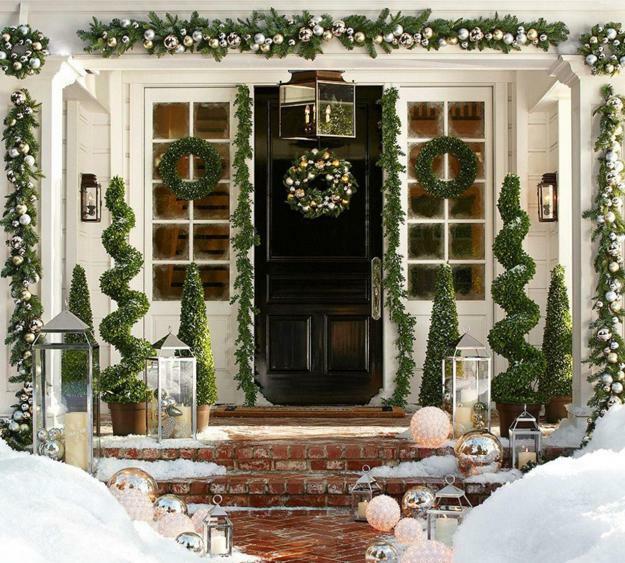 These simple and elegant winter decorating ideas are widely used around the world in making homes and offices look festive and inviting. 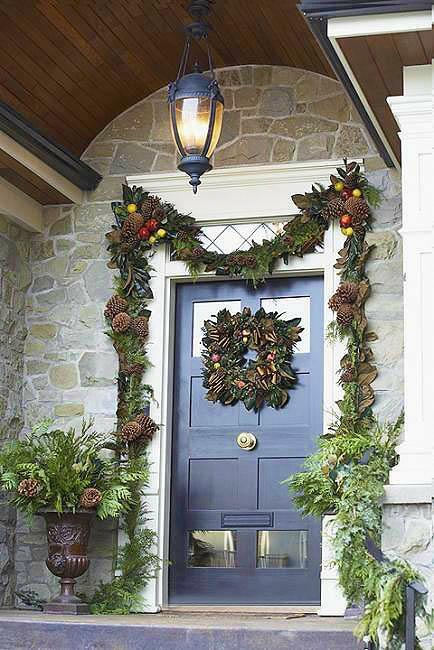 Fresh Christmas wreaths and evergreen garlands add natural feel to winter decorating, and dried wreaths and garlands, combined with winter inspired ornaments, give unique looks to front doors. 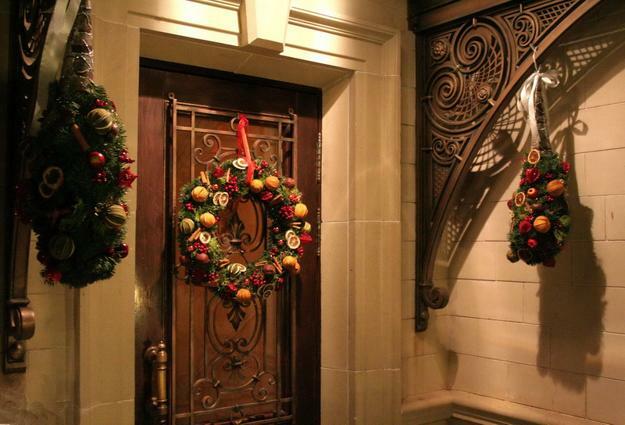 Traditional winter holiday decorations, especially door wreaths and garlands, are usually made of green branches, dried flowers, fruits and leaves. 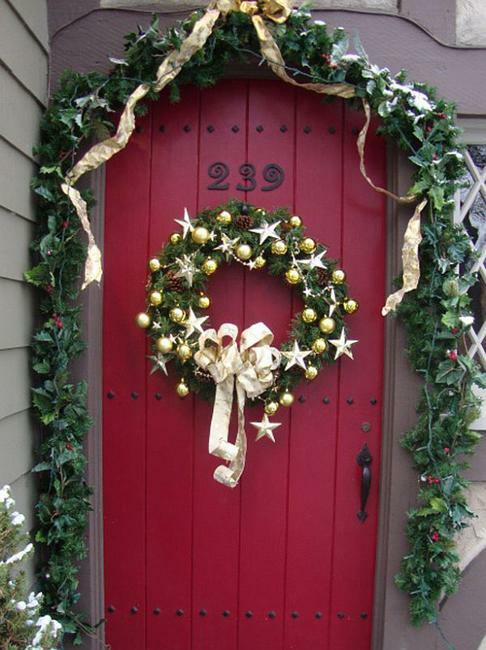 Snow white, cream, silver, golden and red ribbons and small door decorations that support the winter season themes are added to make front doors look colorful and beautiful. 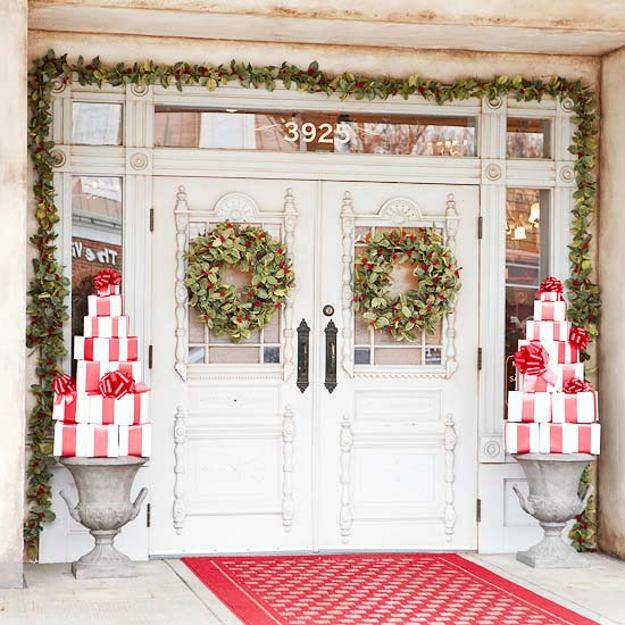 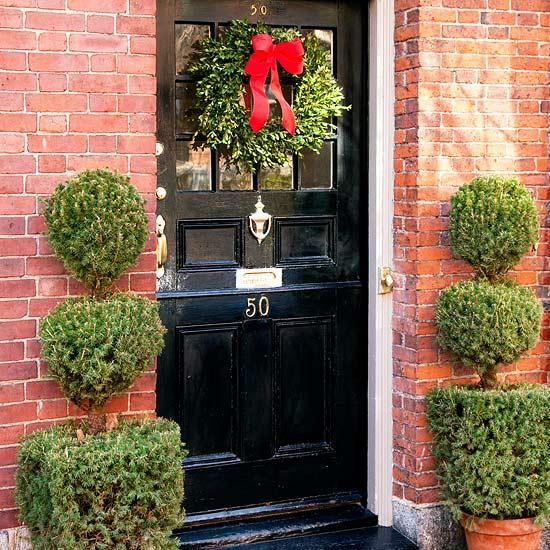 Here are some beautiful door decoration ideas showing how to decorate your front door, office or home entrance with holiday wreaths and garlands. 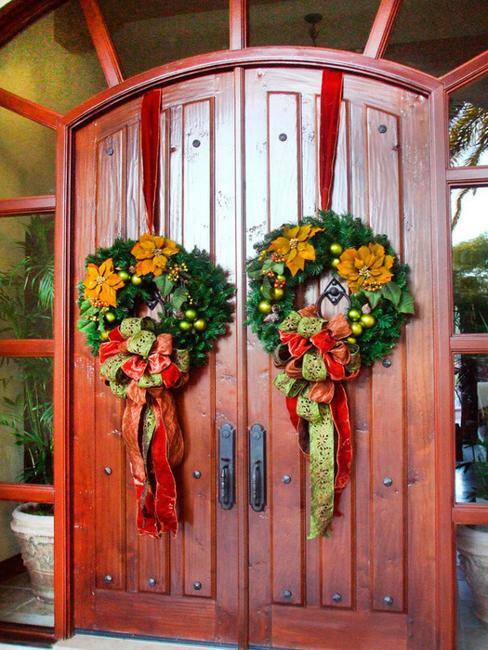 These beautiful designs of the door decorations make guests and visitors feel welcomed and happy. 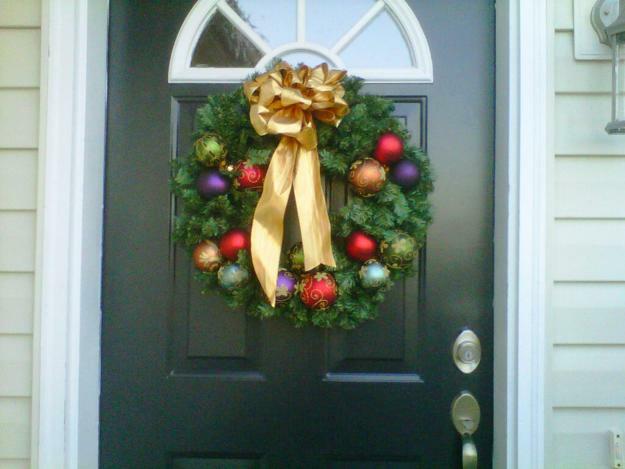 A set of three wreaths in same or different sizes look very creative, contemporary and attractive. 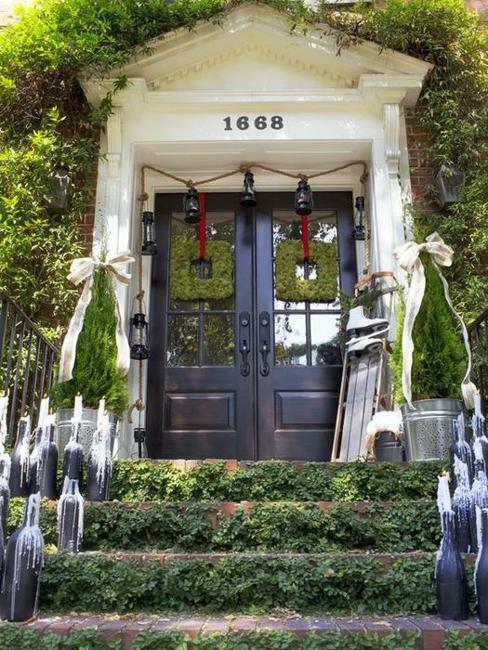 Large garlands and wreaths with Christmas lights on them dazzle front door decoration and highlight house exterior in elegant and majestic style. 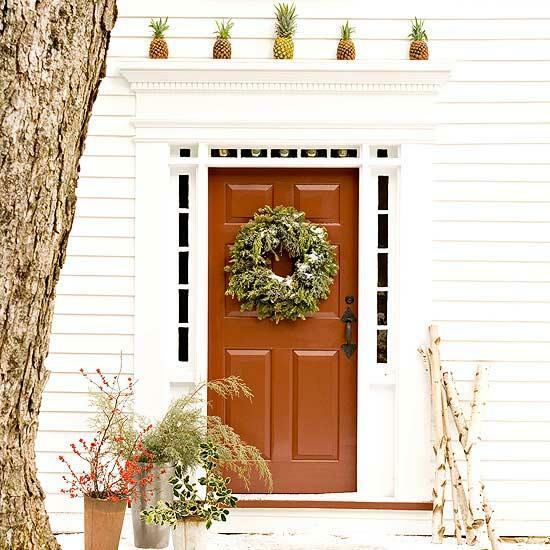 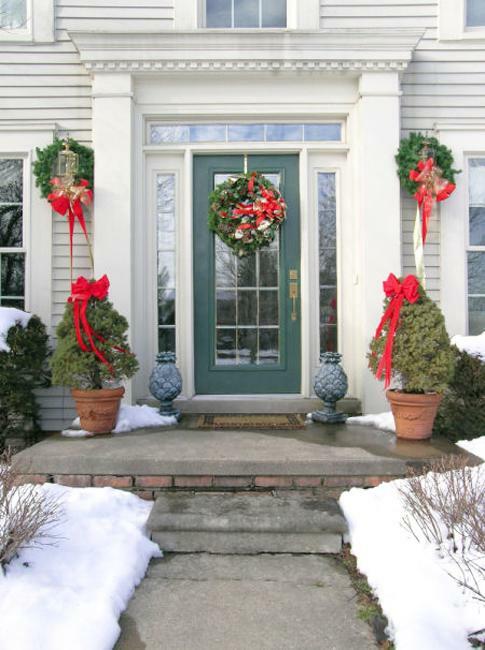 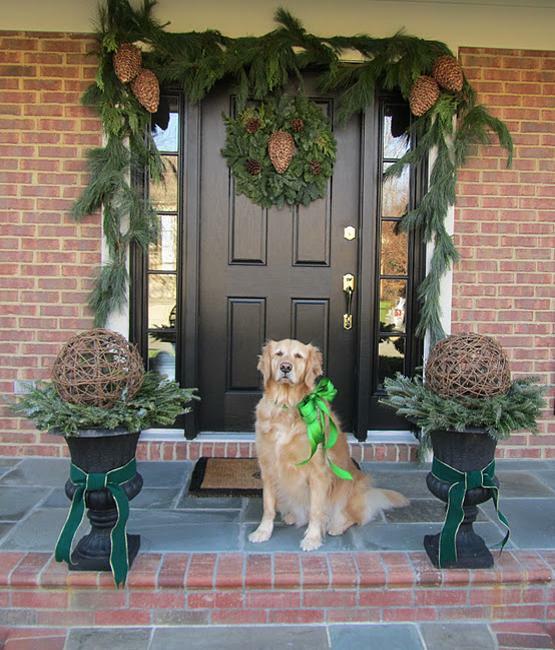 Winter holiday wreaths and evergreen garlands are amazing door decorations. 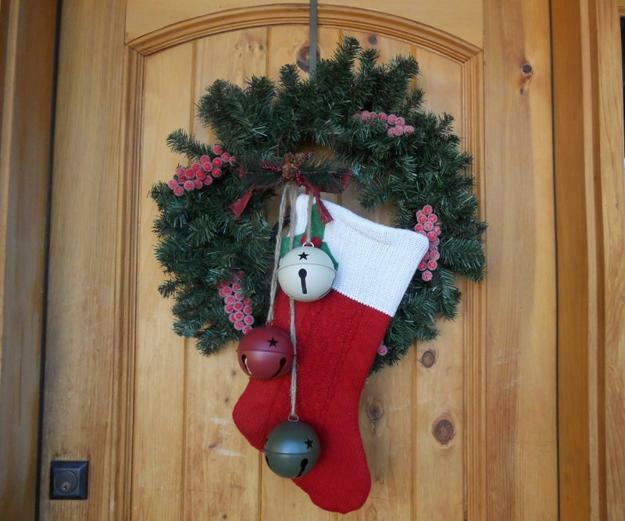 They are great for Christmas decor and can be easily changed for everyday winter decorating. 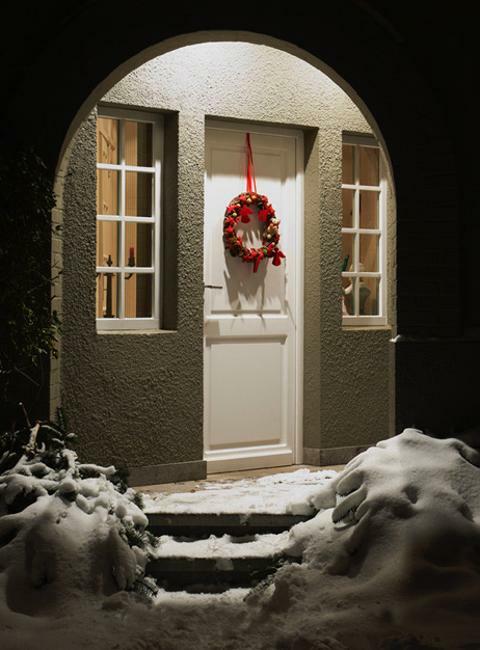 There are different kinds of wreaths and garlands that can be used for any occasion in winter or for decorating your home entrance, porch and balcony in winter. 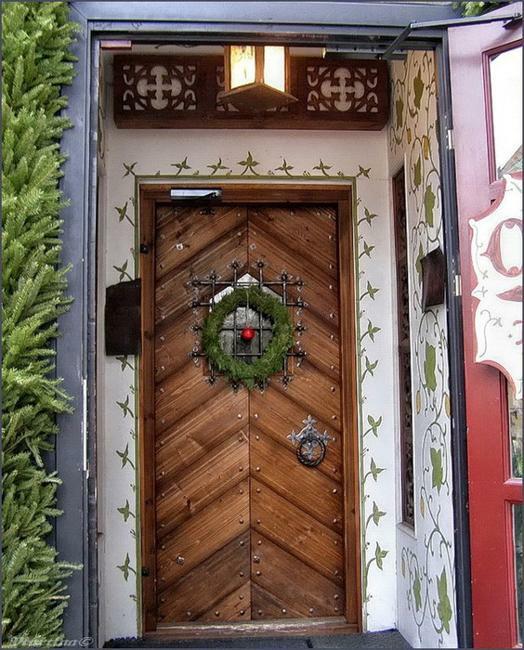 Creative designs save us from the inconvenience of making different door decorations for every season or special occasion. 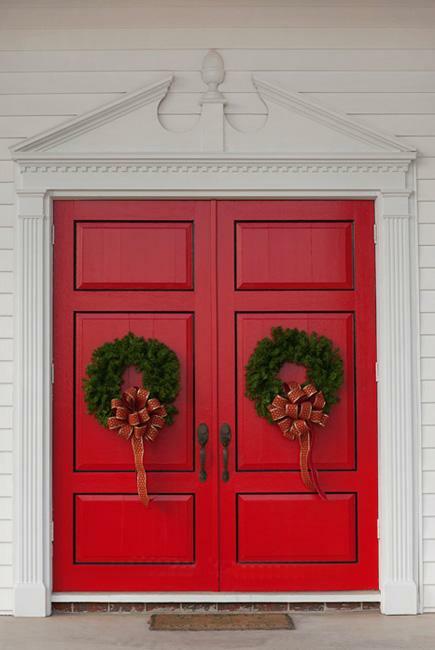 Adding and removing small ornaments and ribbons in traditional red colors transform Christmas wreaths and garlands into universally appealing everyday door decorations.